Many Empaths and Highly Sensitive People can suffer with high levels of emotional stress from time to time, so they have to consider their nutrient levels may be low. 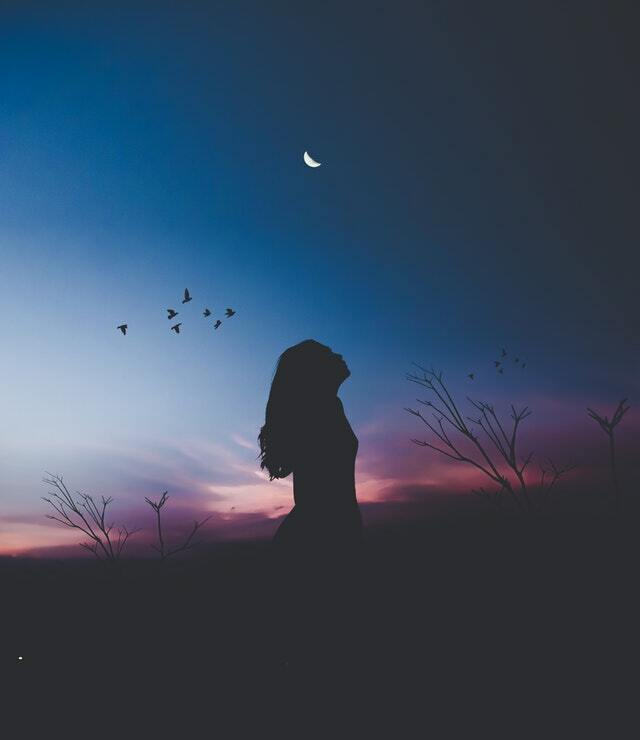 Some sensitive people go through some excessive introversion at some point in their life, especially around times of awakening, spiritual development or major life transitions. However extreme introversion may be a sign of major imbalance or even nutrition deficiency. These stressful times can deplete the sensitive and empathetic person of nutrients that help keep the body and mind calm and healthy. B Vitamins are water-soluble and are needed on a daily basis. Collectively, they have many roles in keeping us healthy, such as immunity, hormonal balance, circulation, energy production and stress regulation. Many B Vitamins are made in the small intestine. Good sources to obtain pyridoxine from are brewer’s yeast, eggs, chicken, carrots, fish, liver, kidneys, peas, wheat germ, walnuts. Magnesium works alongside calcium to maintain muscle and nerve impulses and bone density. It is also essential for the functioning of many enzyme pathways, and is linked with protein synthesis and the production of some hormones. Magnesium is a vital component of chlorophyll and is present in all green leafy vegetables, nuts and seeds. This trace mineral plays a part in nearly every major disease, including diabetes and cancer. Its main role is concerned with the protection and repair of DNA, however, it is also required to make insulin, the antioxidant enzyme superoxide dismutase, and to boost the immune system. Oysters are the highest dietary source of zinc, and it is found in higher levels in animals and fish than in plants. Are You an Introvert Empath? Could This be a Cure for Introversion & Social Overwhelm for Empaths? How do You Know if You are an Empath or Simply Sensitive? EMFs are electromagnetic frequencies and include exposures to power cables, radio transmitters, Wi-Fi and x rays. In today’s society it is almost impossible to avoid potentially harmful Electromagnetic Fields within in our homes and work life. 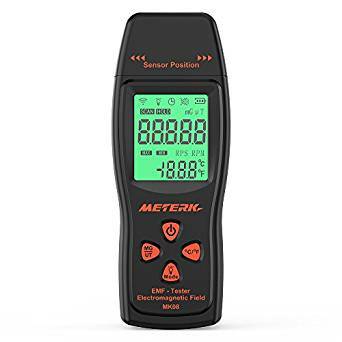 The chaotic waves of electromagnetic (EM) radiation pass through the body and interfere with cellular communication, brain activity, and nervous system function, making the body weaker, less able to balance, and more quickly fatigued. 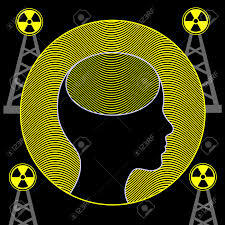 All is not lost because there are many ways to help you reduce exposure and diminish the effects of these frequencies. Below are some tips to help reduce exposure to EMFs as well as tools to block and diminish the effects of EMFs. Check if you are within 500 meters of power lines and ideally avoid living near them. Generally, living within 500 meters is considered undesirable. 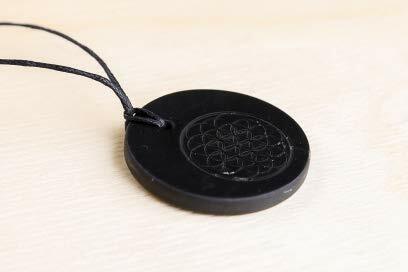 Shungite: used to block or diminish EMFs. 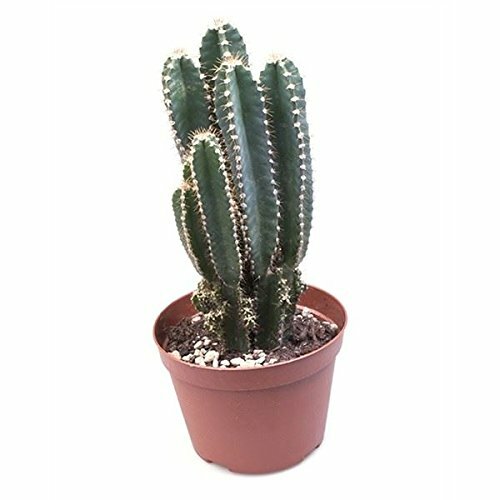 Cacti plants really do absorb electromagnetic radiation, and it is a good idea to keep them around your computer. NASA concluded that the best ones were Cereus cacti – preferably with 5 heads. They are thought to have evolved self-protective mechanisms to defend themselves from the harsh radiation of the desert. Blue light exposure has been shown to impact your body’s circadian rhythm (your body’s natural body clock) . Natural exposure to blue light during the daylight hours boosts people’s energy, alertness and mood. However, elongated exposure to the waves transmitted through screen devices during the evening can disrupt normal sleep schedules. 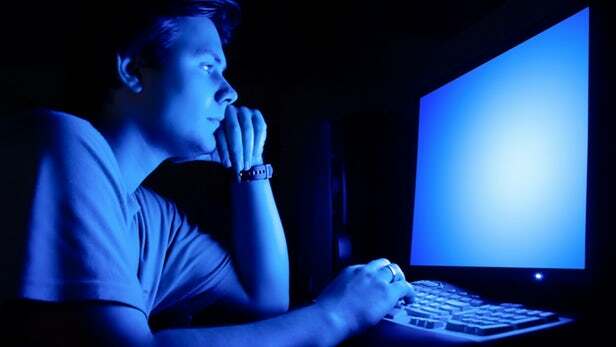 Exposure to artificial sources of blue light include energy-saving lamps, LCD/LED screens in computers and cell phones. – Use dim, red lights for night lights. – Avoid looking at bright screens beginning two to three hours before bed, or at least download the f.lux software, which will gradually turn your screen redder as the sun sets. – Expose yourself to lots of bright light during the day, which will boost your ability to sleep at night, as well as your mood and alertness during daylight. 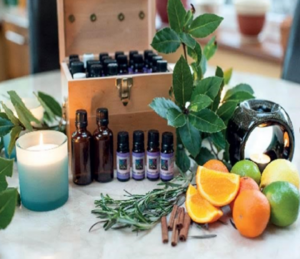 Aromatherapy is the use of Essential Oils in holistic treatments to improve physical and emotional well-being. E ssential oils, extracted from plants, trees, shrubs and grasses possess distinctive qualities beneficial to healing and in promoting positive health. These natural plant oils can be applied in different ways such as, massage, inhalation, compresses, oil burners and in the bath. They can also be added to gels, lotions, creams and face masks and customised to suit the individual’s complaint. Essential oils are absorbed into the skin and have gentle physiological effects. It is especially good for treating stress-related conditions as well as other disorders. The Olfactory system (the sense of smell, the oldest sense that unlocks memories….) 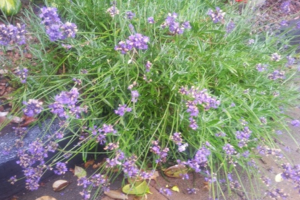 plays a very important part in our lives and is the reason why smells often induce an emotion or past memory. The term “Aromatherapy” dates back to the 1920’s and was coined by a French chemist called René Maurice Gattefossé although the use of oils goes back much further than this. For centuries, both the Egyptians and the Romans have used plants and herbs for religious, medical and cosmetic purposes, as well as in rituals, embalming and preserving. The Greeks travelling to Egypt gained important knowledge in this area. Hippocrates, the great Physician and father of medicine used plants in medicine and documented it, helping others to understand the useful properties of plants and herbs. The Romans who had conquered many countries had access to their plants and oils and the use of oils was very much part of their culture. One of their most famous uses for Essential Oils was in the Roman public baths. This is one of the most commonly used Essential Oil. It is a great “all rounder” and beneficial in treating many conditions. It is effective for use on all skin types and conditions, wonderful for burns/sunburn, insect bites or stings and has healing properties for dermatitis and psoriasis. It soothes muscle pains, lowers high blood pressure and other stress related conditions. It balances emotions, relieves headaches and helps insomnia and anxiety. It never ceases to amaze me that Mother Nature has given us this common plant which has so many therapeutic properties! This is wonderful oil with a very distinct aroma, It is emotionally uplifting, balancing both mind and body. 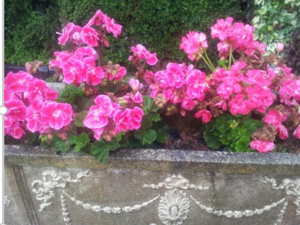 Geranium stimulates the circulation thus preventing chilblains, helping to heal bruises, broken capillaries and eczema. It stimulates the Lymphatic system and aids the removal of cellulite. It helps to relieve anxiety, depression and stress and is beneficial in balancing the hormones, thus regulating PMT, Menopause and heavy periods. There are many Essential oils to choose from and having such a variety enables one to choose an appropriate oil which resonates with them. Aventurine attracts wealth and abundance through opportunity. Carry in your left pocket and be ready to accept the opportunity when it comes your way. It is the perfect gemstone for entrepreneurs and anyone who is self employed. Tiger Eye brings good luck and prosperity to the user. Ancients used Tiger Eye as a talisman against bad luck and curses. Tiger Eye attracts abundance and can also stimulate the rise of Kundalini energies. Citrine is a gemstone of light, happiness and abundance. 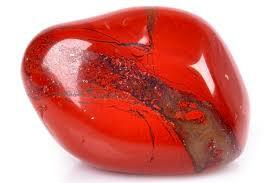 It is the most powerful gemstone for manifestation, helping you to achieve your goals. It is powerful for attracting wealth and prosperity. If you find yourself feeling like you’re not worthy of abundance, the crystal ally for you is Pyrite. Pyrite is that golden nugget of wisdom, and it literally looks like gold. It also has this shiny-mirror like quality that encourages you look at yourself and say, I am worthy. This is one of the most popular crystals for money because it is known to remedy financial hardship and attract wealth. It aids you by ushering wisdom and confidence into your financial decisions. Through these properties, pyrite fosters wealth in both subtle and larger ways. Quartz- clear stone- Crystal quartz is a must have stone. By stimulating your crown and third eye chakras, paths to success and fulfillment become clear. Clarity of mind in financial matters is of the upmost importance. Especially in debt situations where one can often feel hopeless. Quartz lights the path to a plan that can further your financial goals as well as workplace success. There are many tools out there to help you become more receptive to wealth and abundance. 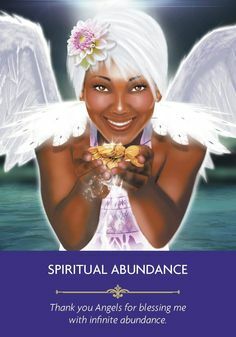 Things like books, affirmations, music, angels and godesses all help you become more open to new avenues of income and receptive of new ideas that assist in your wealth and abundance creation. 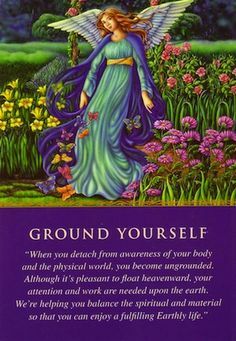 Often during a healing session or card reading with a client the subject of grounding comes up. Some clients are aware what this is about as some have touched on it in their yoga practice or other energy treatments and some don’t quite know what I mean! Below I outline an introduction to what it might mean to be ungrounded and the tools to help grounded in this time and space. When ungrounded you may be fuzzy-headed, forgetful, anxious, wired, excitable, and distracted. Your energy drifts like a balloon disconnected from a child’s hand, a bit lost and forlorn. We can see it as being energetically disconnected. We can detach our awareness from our body and the physical world which results in us being ungrounded. You don’t remember half of your commute home or to work. You feel stressed out. You feel worried. Why is it good to be grounded? When you are grounded you can think clearly, you have less body aches. your emotions are stable, and you stop reacting to all of the chaos around you. We feel calm when grounded, we feel contented and safe. 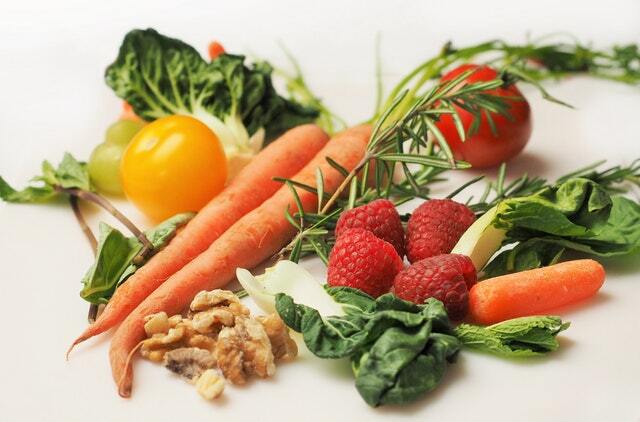 Eating (hence sometimes weight gain) – healthy & balanced. Sports, yoga, tai chi etc. 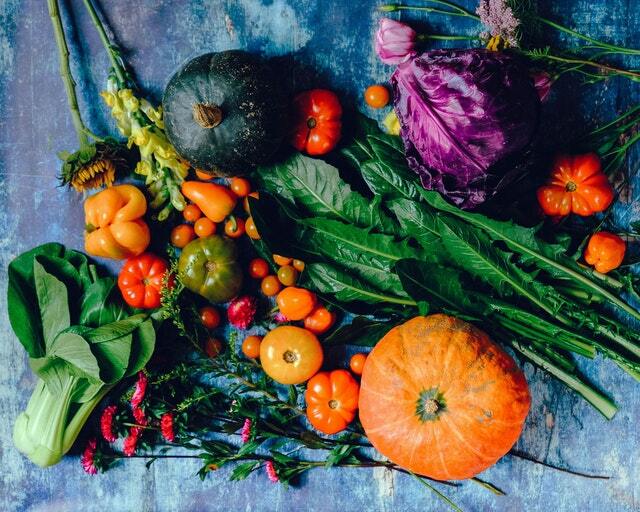 The importance of food in its role in grounding us. Foods that have a high sugar content tend to unground us. Food that is metabolized quickly tend to make us feel ungrounded and give a quick sugar hit and spike in blood sugar levels. This can unground us and make us feel jumpy. On the other hand foods that take time to breakdown such as porridge and whole foods with a low glycemic index ( most fruits and vegetables, beans, minimally processed grains, pasta, low-fat dairy foods, and nuts ) give us a steady release of sugar are more grounding. 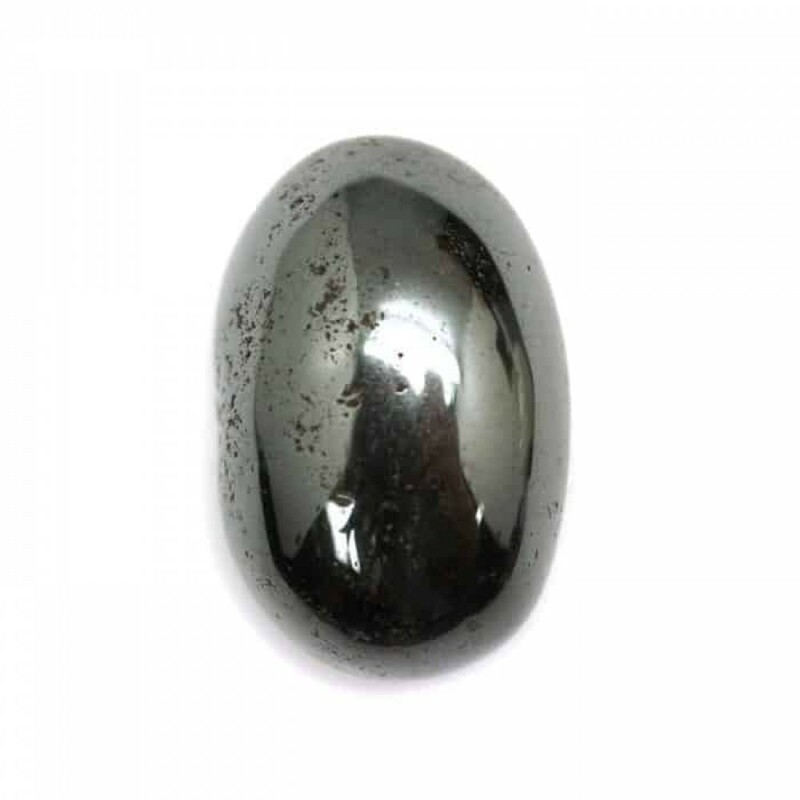 Hematite – Calming, balancing, grounding. A powerful stone to use when aiming to bring stability and grounding back into your world. Doing a quick grounding meditation in the morning or whenever you feel you need to ground can help you feel calm and centred and ready for the day. Try the quick grounding meditation below. 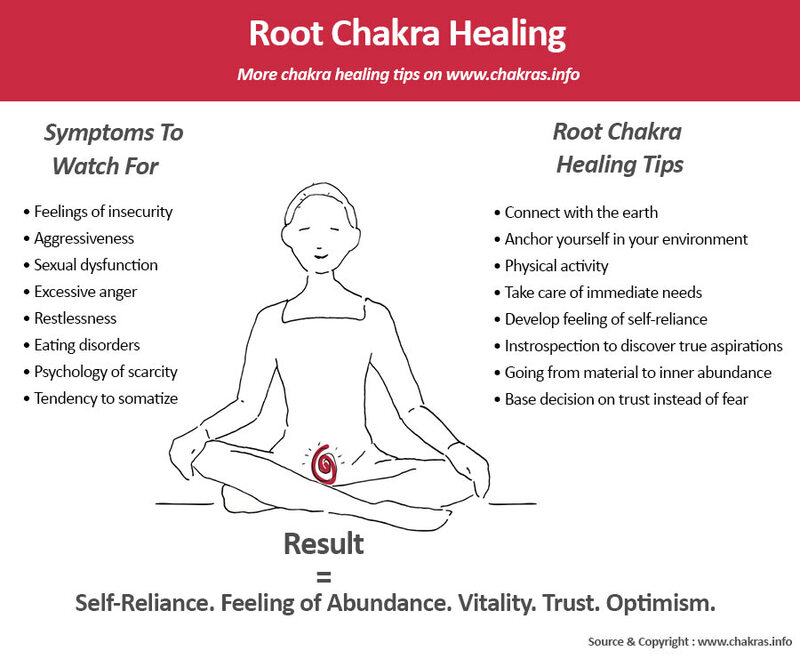 Grounding can be an easy way to balance your root chakra. So exercise, eat well, use grounding visualizations, use crystals and oils to get back into balance and feel safe calm and at peace once more! Online appointments are now available from the Healing Room. If you cannot get to the Healing Room in person a great way to benefit from the services is to book an online appointment. Book a counselling session, distance Reiki Session or card Reading from anywhere in the world! Angel Card readings can be done live by Skype or WhatsApp. Find out more.